From vine to glass: a succession of rigorous decisions at every step. 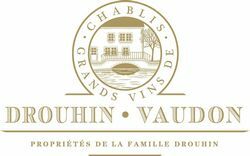 Four Drouhin generations have learned how to carefully observe the land, the vine, the grape, humbly drawing lessons from every detail. The methods used bring together experience and innovation. "The Burgundian terroir expresses itself through the vine: our role is to translate and reveal its most subtle messages". Every effort is made to respect this terroir in all its diversity.